The Hilton Anatole will be the venue for this year’s annual “98.7 KLUV’s Rockin’ New Year’s Eve Party”. Attendees will party and dance the night away to the “Greatest Hits of the 60’s, 70’s & 80’s” in the hotel’s famed Chantilly Ballroom. Your ticket price will include tickets to the party, refreshments, heavy hors d’oeuvres, party favors; DJ, music and dancing; a champagne toast and balloon drop at midnight along with complimentary event self-parking. Room packages are also available if you want to spend the night and enjoy breakfast at the hotel the next day. 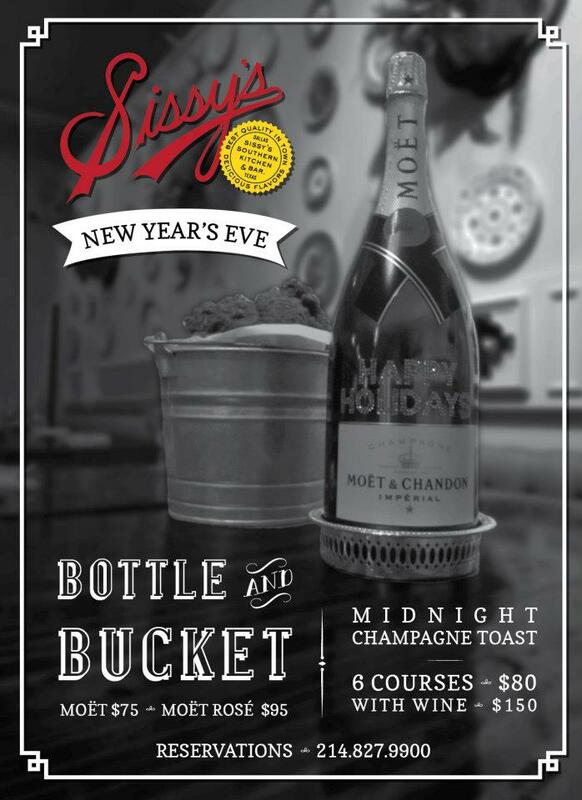 Join Ocho Kitchen and Cocktails this NYE for a 3-course meal that includes champagne and complimentary access to 8bar and be a part of the launch of the dynamic duo Kristi and Scot Redman of D StyleStreet, for their legendary DJ debut. In Plano, Sambuca360* will serve dinner at 7 and 9 with live music from Chinatown. If you can’t get to New York City and you want to recreate a Times Square experience, then head Downtown to Victory Plaza for the 6th Annual Big D NYE. Last year over 35,000 people enjoyed Big D NYE 2012 from inside the gated venue, with thousands more celebrating from surrounding areas. This free celebration will be hosted by my good friend, Good Morning Texas hostess with the mostess, Amy Vanderoef, and include food and beverage trucks, continuous live entertainment, and a Fireworks Spectacular at midnight. WFAA-TV Channel 8 will provide live coverage of the event beginning at 10:30 p.m. There will be multiple parking facilities located throughout the Victory Park area as well as adjacent lots within walking distance to Victory Plaza. DART is the recommended mode of transportation. Take the Green Line to Victory Station. I also want to tell you about a couple of great New Years Day options to help you recoup. Bread Winners Cafe & Bakery** will serve their amazing brunch menu all day long. Stop by any of their 4 locations in Uptown, Inwood Village, Plano or NorthPark Center from 9am to 9pm. 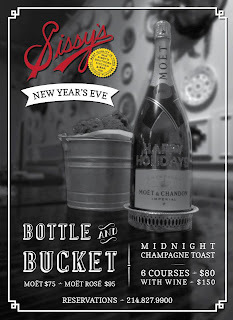 Urban Taco** will celebrate the New Year with $10 bottomless margaritas, mimosas and Bloody Mary’s. Receive a complimentary cup of the traditional Mexican hangover cure called Birria, a Jalisco-style beef stew. They will serve their regular menu and in Uptown, you'll be able to get brunch all day.